MINION'S ENTRY WAS FILLED WITH BEYHEART AS ALWAYS AND THE COMMITTEE FEELED THAT MANY OF THE PARTS WERE VERY REALISTIC TO BE PRODUCE IN THE FUTURE! GREAT JOB ! ENTRY OF FOGOT WAS RENDERED STUNNING AND MUCH OF COMMITTEE WAS IMPRESS BY MULTI-FUNCTION OF THE RCB/PC BOTTOM. AWESOME ! ASBEL LHANT'S ENTRY WAS ALSO STUNNING RENDER, ARGUABLY BEST IN COMPETITION. AND LIKE OUR FIRST PLACE WINNER, WAS ALSO VERY PLAUSIBLE OVERALL. BOTH WHEEL AND CLEAR WHEEL DESIGN WERE IN TUNE WITH THEME AND THE GD145 TRACK IDEA WAS INTERESTING! AMAZING ! NOW WHAT YOU ALL HAVE BEEN WAIT FOR â€¦ THE FIRST PLACE FINISHER AND WINNER OF SUPERSPECIAL RAREBEY PRIZE MERCURY ANUBIS 85XF â€¦ CAN YOU BRACE?? MAR, YOUR DESIGN WAS THE MOST PLAUSIBLE OF ALL ENTRY RECEIVE, AND KEPT BEST WAS WELL WITH EGYPTIAN THEME. THE COMMITTEE WAS VERY IMPRESSED BY THE DESIGN OF THE WHEEL/CLEAR WHEEL AND THINK YOUR HYBRID DEFENSE BOTTOM WAS BRILLIANT TOO. CONGRAULATION MY BEYFRIEND !! BUT WAIT JUST WHEN YOU THINK ITS IS OVER THE COMMITTEE HAS ONE MORE SURPRISE !! MAR AND ASBEL LHANT, PLEASE CONTACT BEYCOMMITTEEFRIEND KEI FOR DETAILS ON HOW TO RECEIVE BEY PRIZE! CONGRATULATIONS TO ALL WINNER AND THANK YOU TO EVERY BLADER WHO PARTICIPATE !! THIS WILL NOT BE POSSIBLE WITHOUT YOUR DEDICATION VEHEMENT !! Congratulations to the winners of this contest! MAY THE BEY SPIRIT BE WITH YOU ALL! Oh, finally announced, congratulations to the winners. those are some really cool designs! I used to play LoZ. But then I took a light arrow to the knee. Congrats! I wanted ne though. Lol. I don't deserve it though. Congrats Again anyways! Congrats to everyone that won! Your hard work really paid off! Gratz to all who entered, and major gratz to the top 8 winners! Hello everyone, thank you all for putting me in the Top 8, I thought to be among the winners. Congratulations to all the other winners! For the face I want the blue one! Thanks! Many thanks also to the Italian forum WBO !!!!! (Oct. 22, 2010 5:13 PM)DasherDeath Wrote: Hello everyone, thank you all for putting me in the Top 8, I thought to be among the winners. Congratulations to all the other winners! I wish I had participated in this contest, but I didn't have time. Congrats to the contest winners! Your designs were simply amazing! "In space nobody can hear you scream." (Dec. 19, 2010 2:12 AM)Night Wrote: I cut holes in my PTW and now it's a much better stadium. Here's a tip, don't make anymore threads. Now what's ur thoughts? (Dec. 20, 2010 9:28 PM)Bey-Heart Wrote: Were you drunk? (Dec. 31, 2010 3:03 AM)OmegaDarkness Wrote: This may sound kinda random but Leone is the Leo zodiac right, well have you wondered where Leone came from???? Its italian for Leo, anyone else notice anything like this? (Dec. 09, 2010 6:04 PM)Moss Wrote: Are you mentally ok? (Dec. 21, 2010 9:59 PM)Night Wrote: I wish Bey Brad could still eat people's families. (Dec. 21, 2010 10:43 PM)Sagittario96 Wrote: I really wish I could sell my twin sister on Ebay. I can't stand her. (Dec. 22, 2010 5:28 AM)Kyuubi-Master Wrote: I Never EVER want to see Screw Virgo GB145BS. 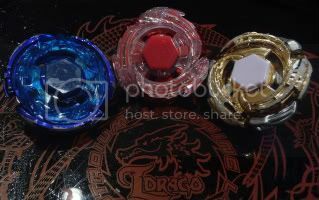 (Dec. 22, 2010 9:15 PM)WhyD125 Wrote: What would be an attack type with no attack type-associated pieces? (Dec. 22, 2010 10:43 PM)ThermalOrso2385 Wrote: Do you want to be my friend? Because I have none. (Dec. 22, 2010 10:19 PM)Ra Wrote: 1. learn respect. (Dec. 19, 2010 6:45 PM)Dan Wrote: If you leave WBO because of 'stickers', that is silly. You got to throw a rant at KIE-V. Thats how its done here. (Dec. 22, 2010 6:44 PM)Mc Frown Wrote: Kids are so bad with. . . kids. . . toys. would takara tomy mass market a product to children that can chop your damned finger off? It was an Egyptian theme ... to go with Mercury Anubis. Congrats to everyone else who won! Thank you bey committee and Blader DJ for choosing my design for 2nd!! For the face booster I want the red one! Those were awesome designs congratulations peoples! Wow stunning entries!! Congrats to the Top 8!! You guys did an amazing job Well deserved to you all!!! (Oct. 22, 2010 7:55 PM)Asbel Lhant Wrote: Congrats to everyone else who won! ... Pegasis! Congratulations, it's uncommon! Congrats to all those that won , hope Mar and ASBEL LHANT enjoy their new beys. Also best of luck getting the faces you want, those that won one. Yay! Congrats everyone! And thank you to the mods!